I came across this when I was in the city with Helena. 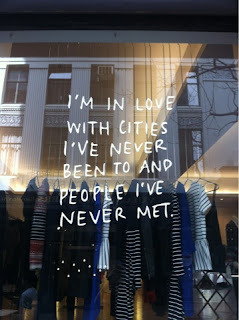 Just a simple quote on a simple shop window, but it’s such a nice little thing I can't believe I took it. It makes me think of Paris, and also all the cities and places I want to go when I am older. Of all the things that life has to offer.